Is there anything better than freeing your kid’s imagination? It truly is wonderful to see what they create. This summer we have been creating and playing our way through our summertime fun list and one item on that list is learning about animals. The only question is which animals and how will we learn? So, last week we hit the library and the girls picked up a few books about whichever animals they liked…rabbits and giraffes. When we got home we started our summer animal series. My youngest daughter, Cee, wrote out her rabbit answers on red construction paper. She loved doing this little research project. 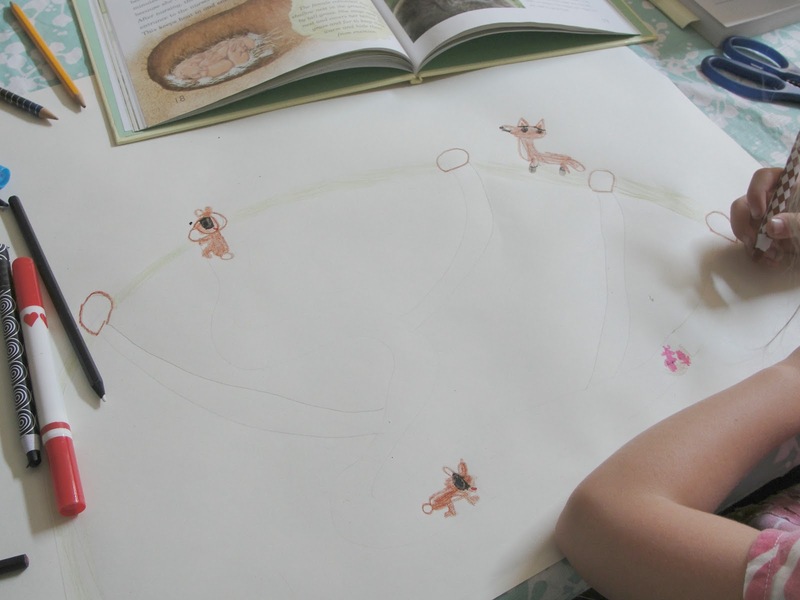 The final step was drawing and colouring a picture of their animal in its’ natural habitat. I rolled out a large sheet of blank paper and gathered up a variety of crayons, markers and pencil crayons. The artwork was hung up with pride. This week we’ll pick out a few new animal books…who knows what they’ll pick. Now, for some exciting information. 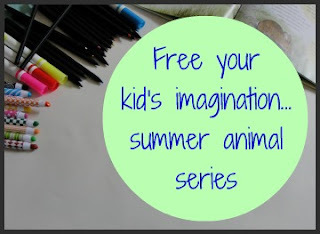 We all know that the best part about freeing your child’s imagination is seeing where it will lead them. Well, Energizer and Crayola have teamed up to help your kid’s unleash their creativity. From June 25th to October 1st Energizer is giving away over 2,000 Crayola prizes! Every hour – Every day there will be a draw! Pretty incredible! All you have to do is head over and “like” the Energizer Bunny Canada Facebook page. Once there you’ll find all the details about the Energizer Free Their Imagination Contest. Here is the best part…Kitchen Counter Chronicles readers can use a Bonus Pin “MARKER” for a bonus entry every hour! That’s 2 entries every hour…2 chances to win an awesome Crayola prize every hour…from now until October 1st! Hop on over and take advantage of the Bonus Pin “MARKER.” Good Luck. Thanks, it is so much fun learning about animals…I always learn something new! I love your daughter’s artwork!